I am intrigued by the travel destinations we are opting for these days. A far cry from the touristy Shimla and Mussoorie, Gulmarg and Sonmarg and Ooty and the Kerala backwaters. Today, it is adventure-based travel and to places whose natural beauty is still not tarnished by the hoards of leisure and pleasure seeking masses. It was my good fortune to meet Deeya Bajaj, offbeat traveller, wonder woman, chocolate lover; who not only has Tibet, Antarctica and Ecuador on her bucket list, but has already covered Greenland. 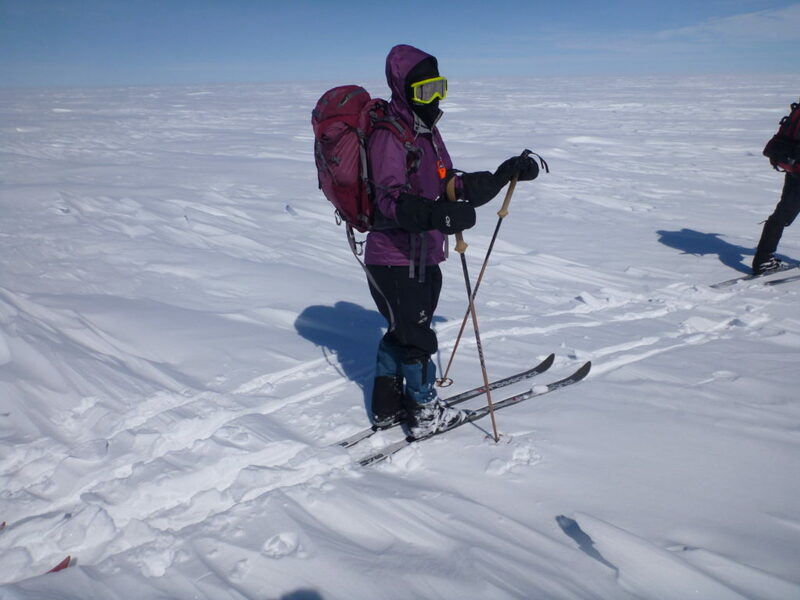 At the age of 17, she went skiing across the icescapes of Greenland, covering 550 kms in 21 days. When I asked her the inspiration behind this journey, Deeya shared that more than an adventure trip, it represented equal opportunities for women. Greenland being as remote as it is, there are two ways to get there by air. Fly in from Iceland, or Denmark. Deeya and her Dad flew from Reykjavik to Kangerlussuaq. From there, they took a smaller plane to the ice caps. Kangerlussuaq means Big Fjord and the Arctic Circle crosses the Fjord midway. As Deeya recollects their daily routine, she talks about the day. Since they went in May, they witnessed the phenomena of land of the midnight sun. It doesn’t get dark for 6 months of the year. Deeya and the crew would wake up, have breakfast, wrap the camp that was set up, ski, set up camp after skiing for approximately 30km, have dinner and call it a day in their tents. Learning to deal with the cold and being adventurous started early in life for Deeya. She remembers waking up reluctantly at 6a.m. in the morning during her childhood. The family explored wildlife safaris, went Skiing in Istanbul and ensured the children explored just as much. This ignited a passion for the outdoors and Deeya pursued her graduation in Environmental Sciences from Cornell University. A professional tip from Deeya for those who dream to take up a similar expedition: Prepare well for the cold, don’t underestimate Mother Nature, train hard and research well before your trip. What is the secret behind her fitness? 2 hours of daily swimming during her childhood is Deeya’s prompt reply. Before an expedition, she does train for endurance and runs in the complex in the evenings. A combination of cardio, cycling, strength training consistently ensures she is ready. I was keen to know why someone would visit a place so remote, where the population is barely around 57000 and the number of annual tourists is approx 3000. A mall in Mumbai would boast of daily footfalls higher than that. What took you to Greenland? In 2006 and 2007, her father completed skiing across the North Pole and South Pole. Dad said, “Let’s make it a hatrick.” So we decided to visit Greenland, which is the third Arctic in the Polar vortex. 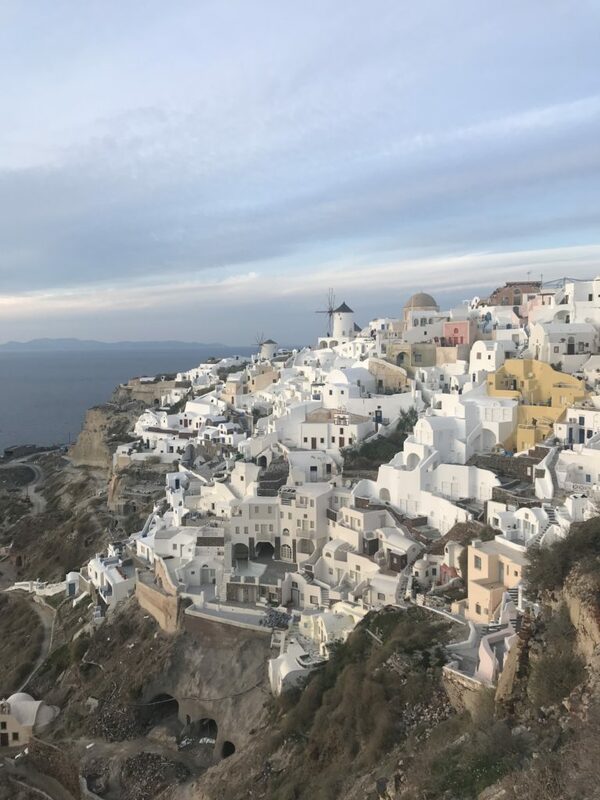 Before I spoke to Deeya, I had researched about this land, expecting to hear about the awe-inspiring landscape, the gigantically massive icebergs, the Inuit and their culture. Since the goal of the trip was skiing on the icescapes, Deeya and her Father gave a miss to the usual Greenland checklist. When I ask Deeya, why skiing,”It is easier than walking on the icescapes” she quips! Exploring with a map and asking directions is common when we visit a new place. What about navigation amidst the never-ending white landscape? GPS devices, that are satellite-enabled helped them traverse from the west to the east of Greenland. 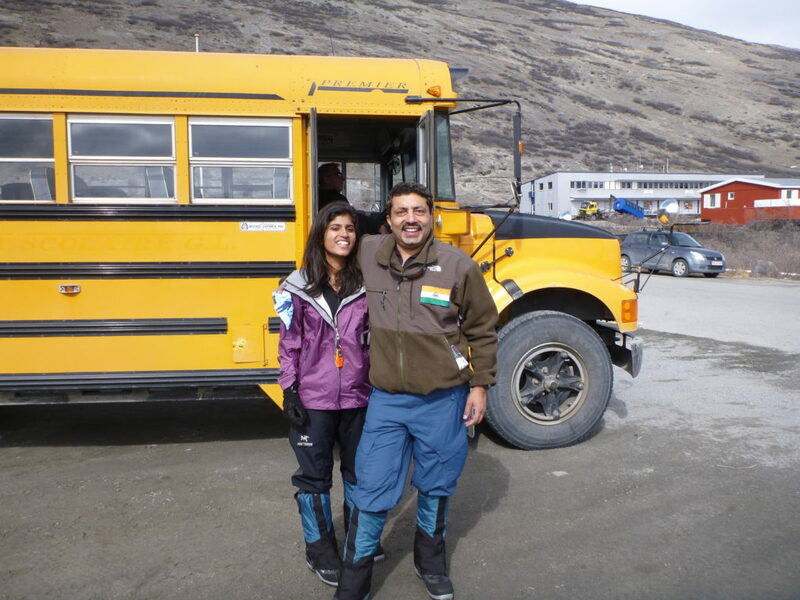 Deeya and her Father completed their expedition at Isortoq, on the south eastern side of Greenland. From there, they took a helicopter to Kulusuk and then a flight to Iceland. As their trip and our conversation were coming to end, Deeya shared the importance of responsible travel. 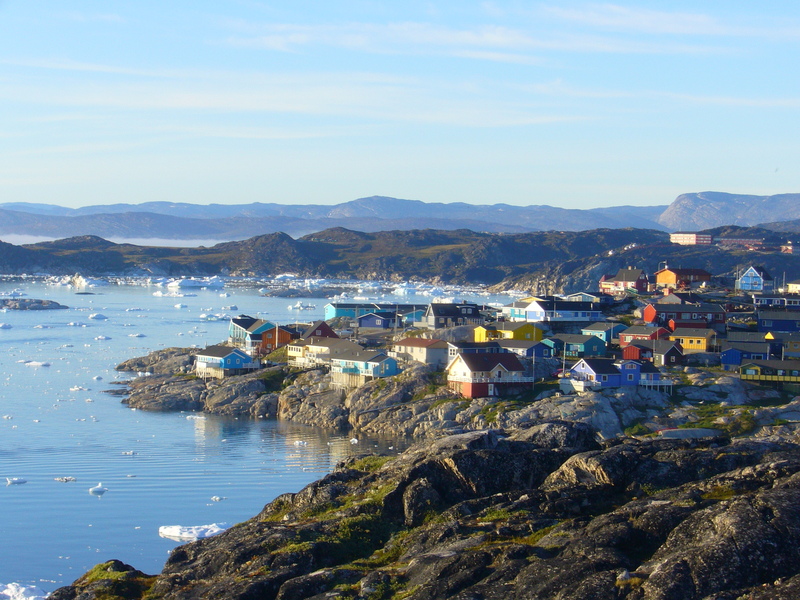 A place as remote as Greenland is affected by global warming. On one of her other trips, they were made to wear a mask while Kayaking to protect their face from mosquitoes. An unusual phenomenon in the Arctic which experiences freezing cold temperatures for major part of the year. Ending on a sweet note, Deeya shares a secret. You can have as much chocolate as you like in Greenland and you will not gain an ounce! It just melts with the intense ski activity in the cold.